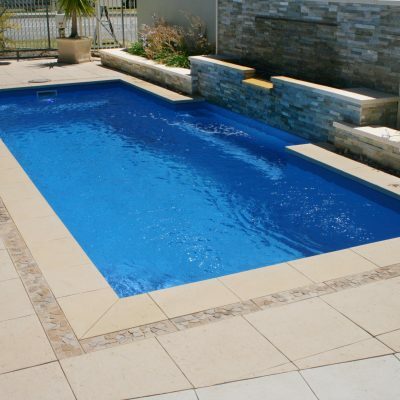 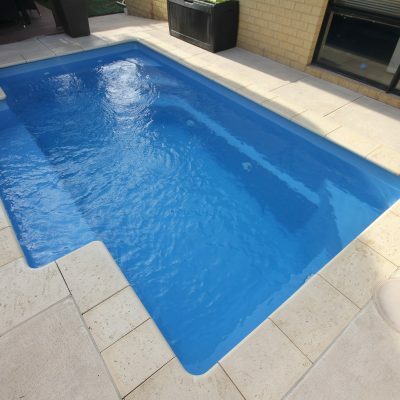 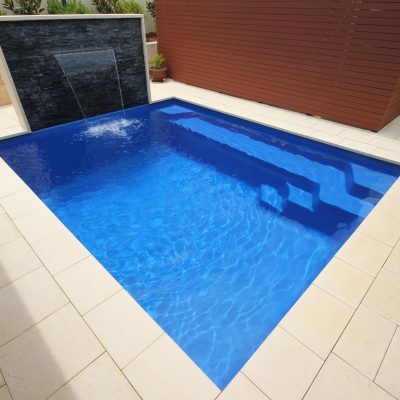 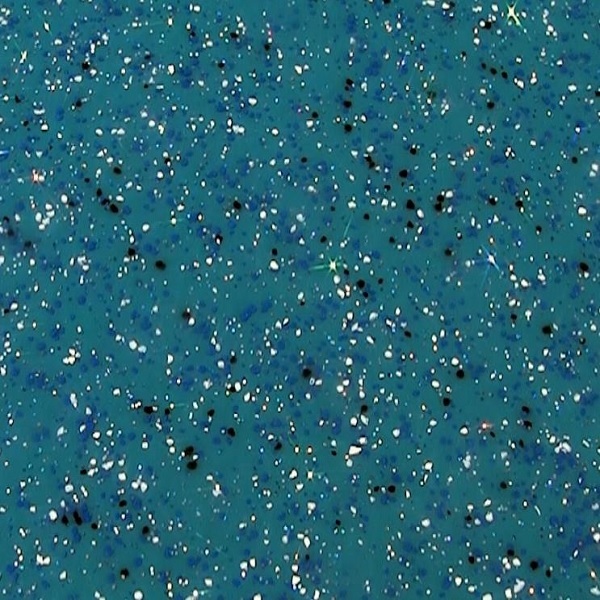 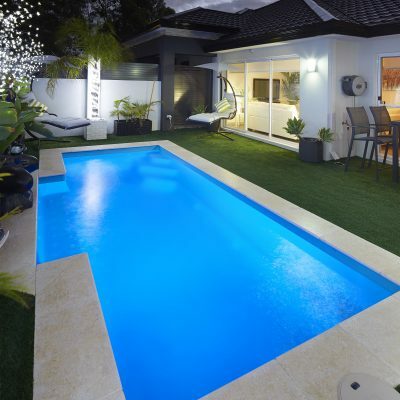 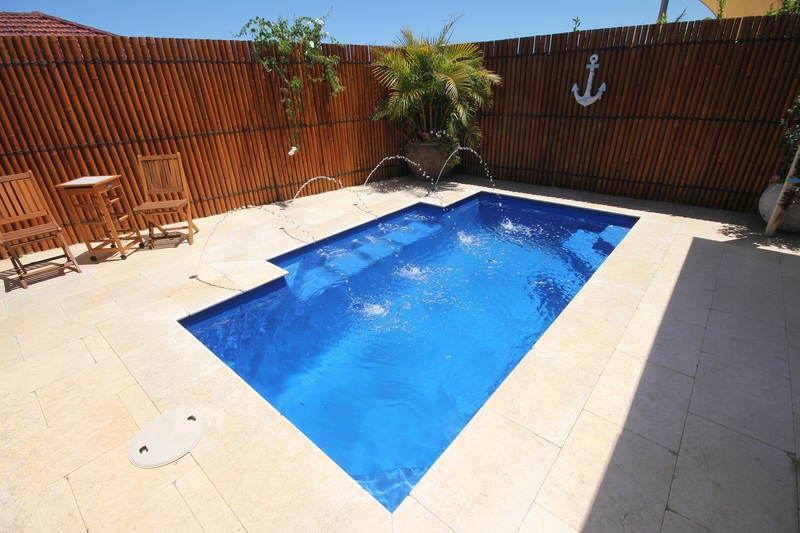 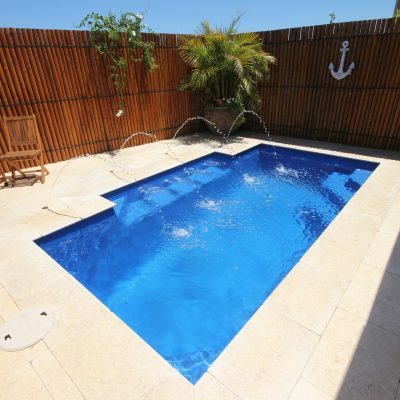 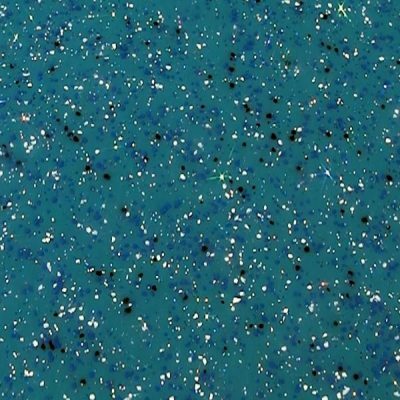 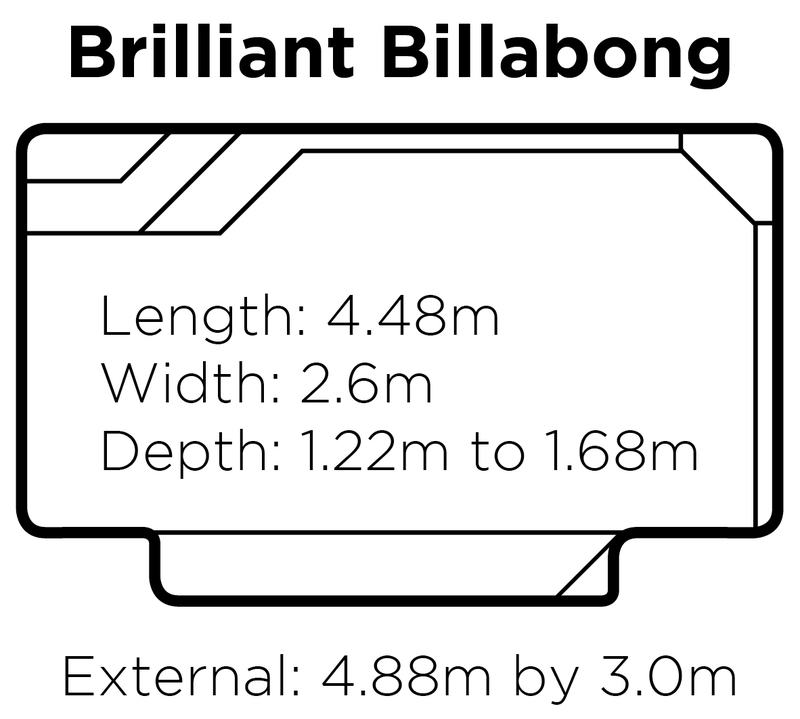 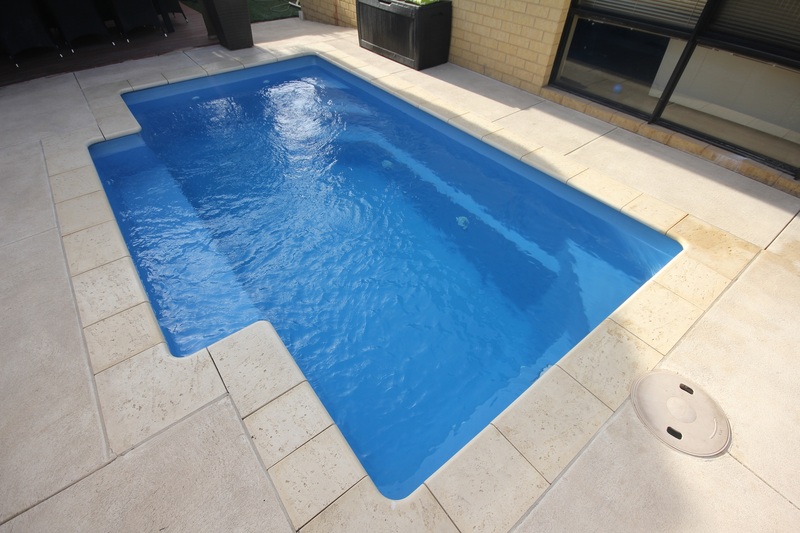 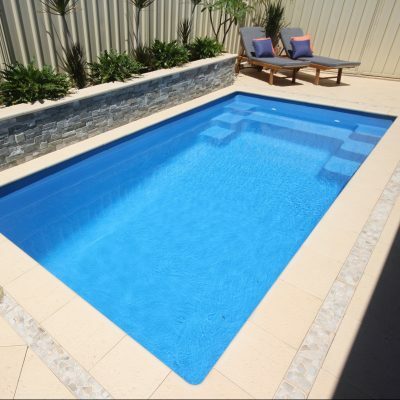 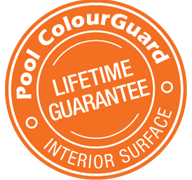 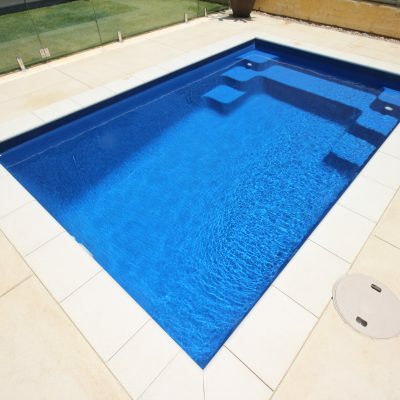 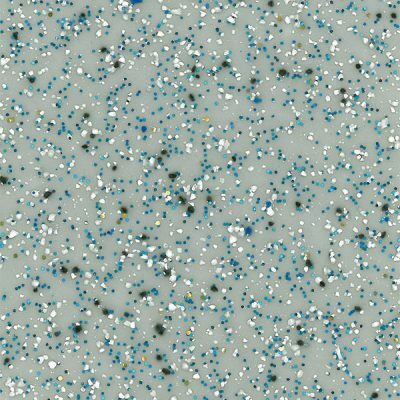 The Brilliant Billabong pool comes in the form of a narrow plunge pool that features a bench seat along one side and a safety edge making this pool ideal for experienced and new swimmers. 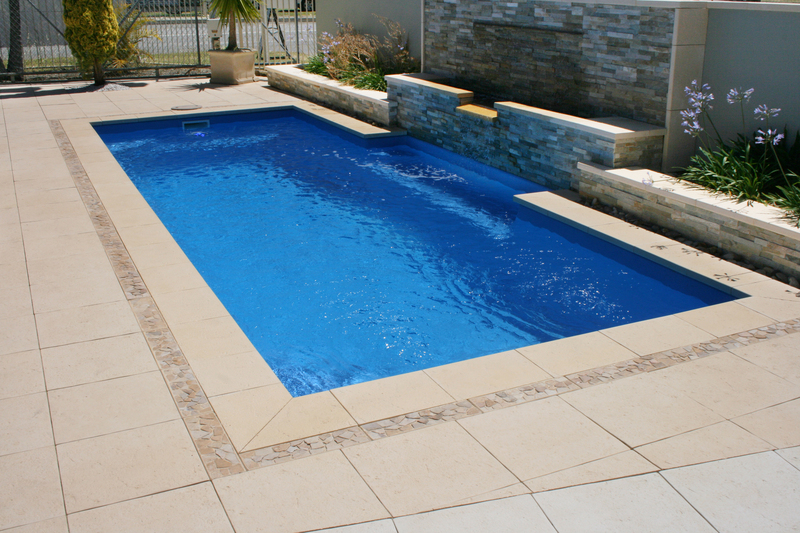 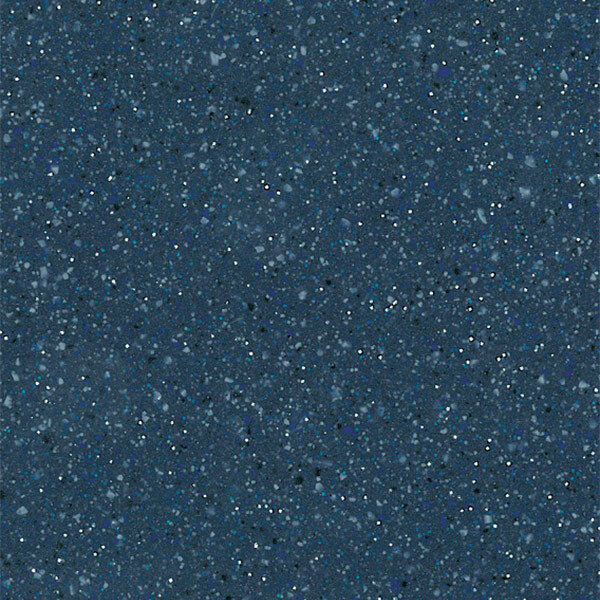 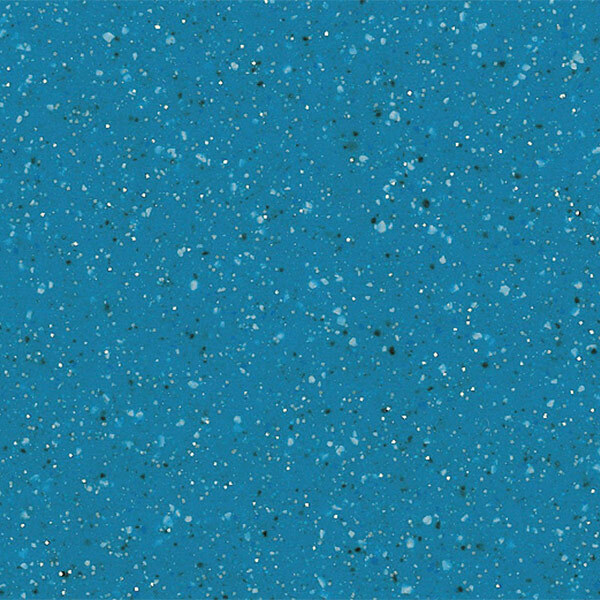 The corner entry steps allow for an undisturbed space for swimmers. 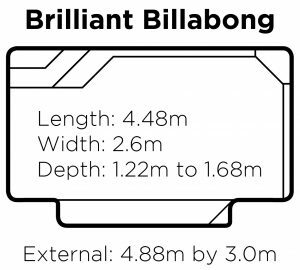 The Brilliant Billabong’s geometric lap pool design makes it perfect for those with narrow spaces and limited backyard space.